Charles Christian Lauritsen was Emeritus Professor of Physics at the California Institute of Technology (1930-1968). Other institutional affiliations included the Kennedy Radio Corporation and the Federal Telegraph Company. His research interests included radiative capture and x-rays. 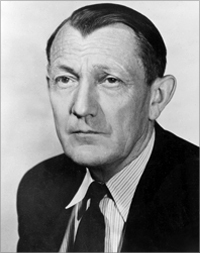 April 4, 1892Birth, Holstebro (Denmark). 1911Obtained Architecture degree, Odense Technical School, Odense (Denmark). 1911 – 1912Infantryman, Danish Infantry. 1914 – 1915Infantryman, Danish Infantry. 1919 – 1921Engineer, Ohio Body and Blower Company. 1921 – 1923Radio Engineer, Federal Telegraph Company. 1923 – 1926Chief Engineer, Kennedy Radio Corporation. 1930 – 1968Assistant Professor of Physics (1930-1931); Associate Professor of Physics (1931-1935); Professor of Physics (1935-1962); and Emeritus Professor of Physics (1962-1968), California Institute of Technology, Pasadena (Calif.). 1940 – 1942Vice Chair, Division A (Armor and Ordnance), National Defense Research Committee. 1942Chair, Division 3, Section L, National Defense Research Committee, Office of Scientific Research and Development. 1950 – 1951Project Vista, California Institute of Technology, United States Air Force. 1950 – 1951Member, Long Range Objectives Panel, Committee on Atomic Energy, Research and Development Board, United States Department of Defense. 1952 – 1957Member, Science Advisory Committee, United States Office of Defense Mobilization. 1967Awarded Tom W. Bonner Prize in Nuclear Physics, American Physical Society. Son; advised by Charles Lauritsen at California Institute of Technology, "Construction of a pressure Van de Graaff generator and its application to nuclear physics;" and both employed at California Institute of Technology. Collaborated on Caltech artillery rocket project for the Navy and both employed at California Institute of Technology. Advised by Lauritsen at California Institute of Technology, "Artificial Radioactivity," and both employed at California Institute of Technology. Advised by Lauritsen at California Institute of Technology, "Radioactive elements of a low atomic number," and both employed at California Institute of Technology. Advised by Lauritsen at California Institute of Technology, "Scintillation and magnetic spectrometer studies of nuclear reactions." PhD advisor at California Institute of Technology, "Electron emission from metals in intense electron fields," and both employed there. Advised by Lauritsen at California Institute of Technology, "Beta ray spectra." Advised by Lauritsen at California Institute of Technology, "Precision determination of the energy released in nuclear reactions in the light elements," and both employed at California Institute of Technology. Both employed at California Institute of Technology and worked at United States Office of Defense Mobilization. Both worked at United States Office of Defense Mobilization. Obtained PhD in Physics (1929). Assistant Professor of Physics; Associate Professor of Physics; Professor of Physics; and Emeritus Professor of Physics. Project Vista, California Institute of Technology. Vice Chair, Division A (Armor and Ordnance) and Chair, Division 3, Section L.
Received 1967 Tom W. Bonner Prize in Nuclear Physics and President. Member, Long Range Objectives Panel, Committee on Atomic Energy. Speech at the dedication of the Naval Ordnance Test Station Weapons Center in Inyokern, California [sound recording], 1964 November 4. Oral history interview with Carl Anderson, 1979 January 9 -February 8. Robert B. King collection on fuzes, 1943-1945. William A. Fowler papers, 1917-1995. Charles C. Lauritsen was Nuclear-Research Pioneer Physics Today obituary. Danskeren bag bomben : om tømrerlærlingen fra Holstebro, der hjalp atombomben til verden og bestemte, hvor den skulle kastes.